The Greater Elmira Tennis Association is a not-for-profit organization focused on introducing the youth of the Greater Elmira area to the sport of Tennis. We offer a series of youth tennis clinics for beginning and advanced players, and families, and host tennis tournaments during the summer months. 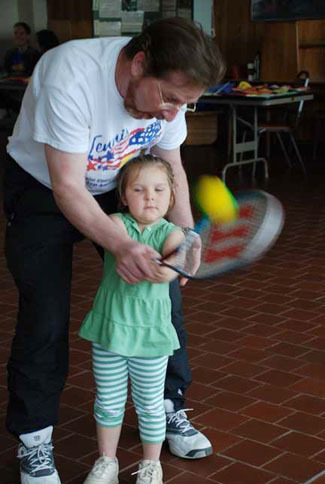 It is the mission of the Greater Elmira Tennis Association to promote the development of tennis as means of healthful recreation and a lifetime of physical fitness for all age groups . To provide an opportunity for all people to acquire the basic tennis skills and to develop an interest in the sport, we also serve to promote amateur competition and assist local agencies with recreational responsibilities. We cooperate with the United States Tennis Association and other local and national organizations in pursuit of these goals. If you have any questions about our organization, or if you’d like to know how you can join or help our cause, call the GETA Info Line and leave a message at (844) 338-4382. In 1997, The Greater Elmira Tennis Association was formed by a group of tennis playing enthusiasts who wanted to see tennis grow and thrive in our region. After the Elmira City League stopped, Pat Smith, MaryEllen Halm, Dorothy Marshall, Rich Rollins, Cindy Hutchinson, Ellen Sheehan, Barb Preucil, Bob Jungquist and Phil Levkanich met to discuss forming a USTA supported Community Tennis Association. With long hours invested and much thoughtful planning, GETA began. It’s mission started with promoting youth tennis in inner city Elmira and continues to thrive with programming for adults and children in a broader area. Lessons, leagues, tournaments, clinics, and ladders run throughout the year. Winter tennis was played at the Twin Tier Racquet Club for 30+ years and is presently played at the Murray Athletic Center, as GETA partners with Elmira College. The Town of Elmira (Pirozzolo Park) courts host the majority of GETA’s summer play, with The GETA Open and The Strictly Doubles Tournament, Junior Summer Lessons, Singles Ladder, and The John Cadwallader Memorial Doubles League. Corning HS and Horseheads HS hosts Junior Camps and Doubles Leagues, rounding out GETA’s area of programming. 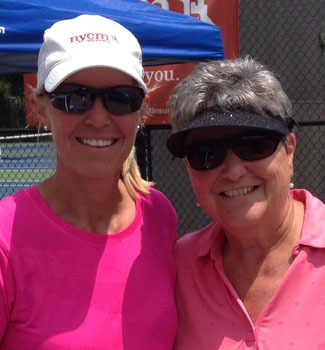 Many volunteers have helped over time to promote tennis and GETA’s mission. There was, and is still, a passion for the sport that unites us and drives us to grow tennis, support it, and benefit from all it gives back!